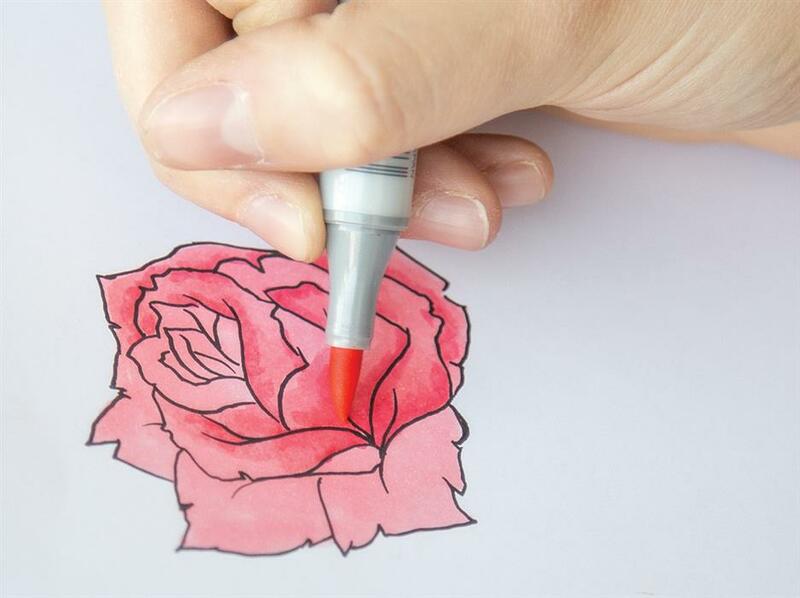 Markers are a great medium for students and artists of all ages and abilities. 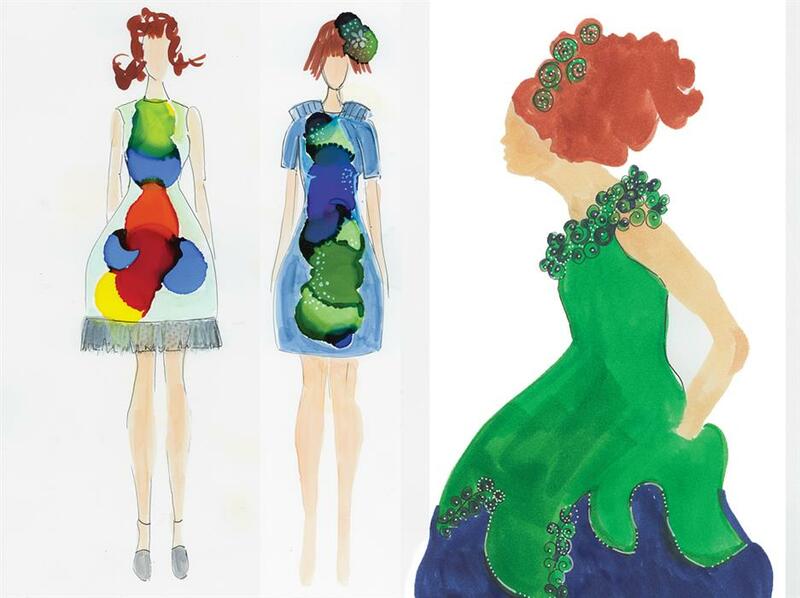 The results that can be achieved are varied, depending on the type of marker and application. 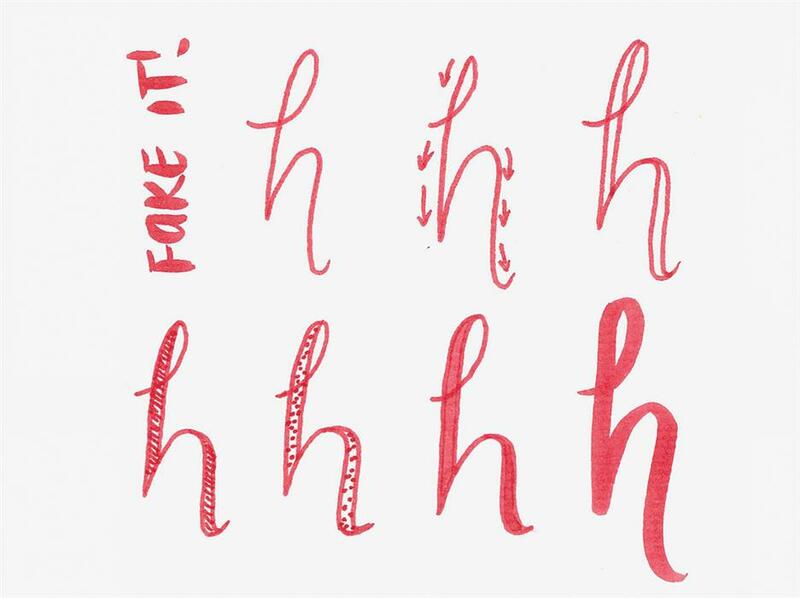 Be it typography, textural rendering, ombré blending, or line and pattern work, there is a marker to suit the task! The most daunting part is knowing which marker best suits your purpose or idea. This exploration aims to take the guesswork out of working with markers. 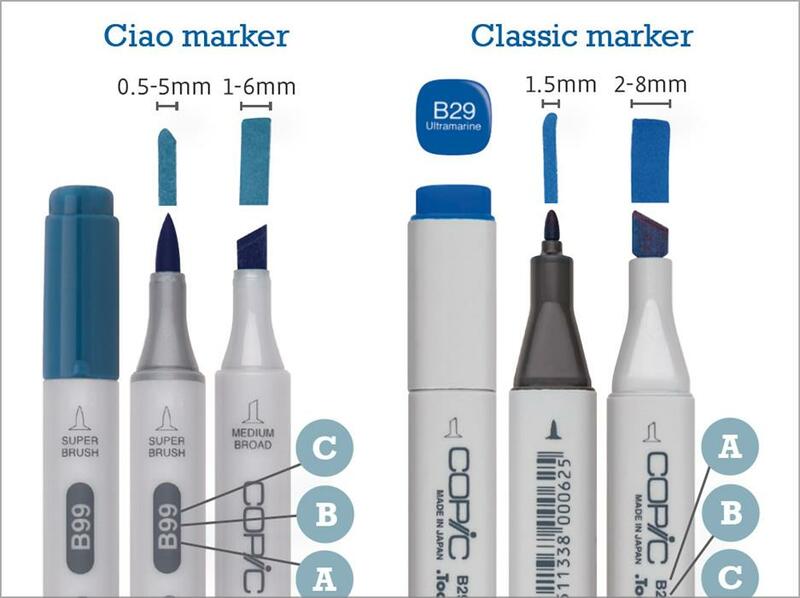 Great for sketching, colouring in and blending, these sophisticated markers are suitable for artists of all ages. From a senior perspective, they have applications in brush lettering, VCD work and concept sketching. They can be blended with or without water, making their application highly varied! Heavy Cartridge, Bleedproof or Mineral Paper are great for working dry, whilst Watercolour Paper is best for blending with water. 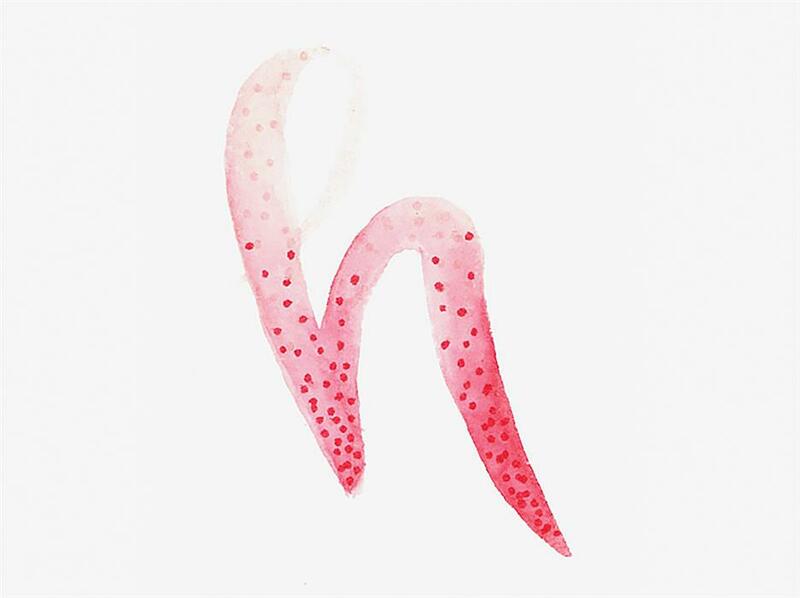 Remember to work quickly when adding water, or allow the ink to dry when not, to avoid bleeding. Sketch: Vary the width of the line by alternating the pressure and angle of the nib on the paper. 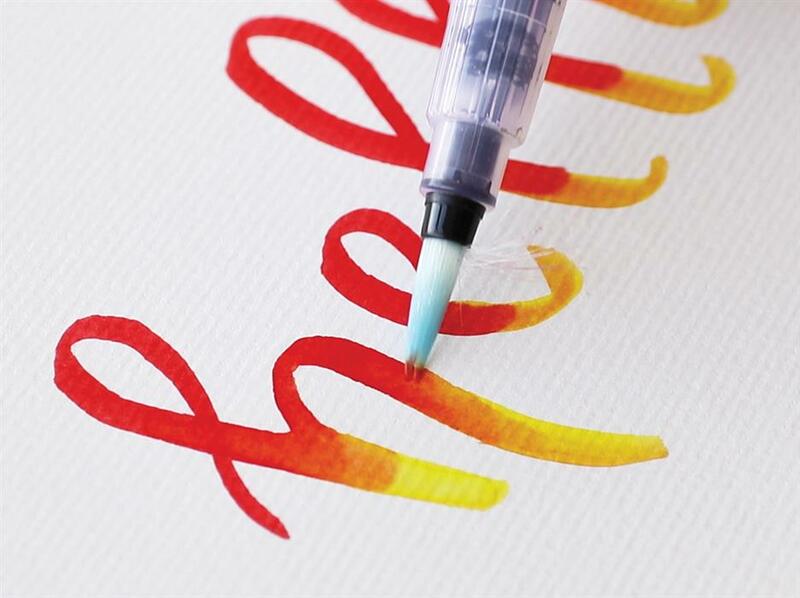 Tip: Allow the ink to dry before adding the next layer to maintain distinct lines. Colour: Run the brush tip around the edge of the area you wish to colour. Use an Aqua Brush to blend the colour into the middle. Tip: Do not work on adjacent areas at the same time or the colours may run! Tip: Consider your light source before applying colour. 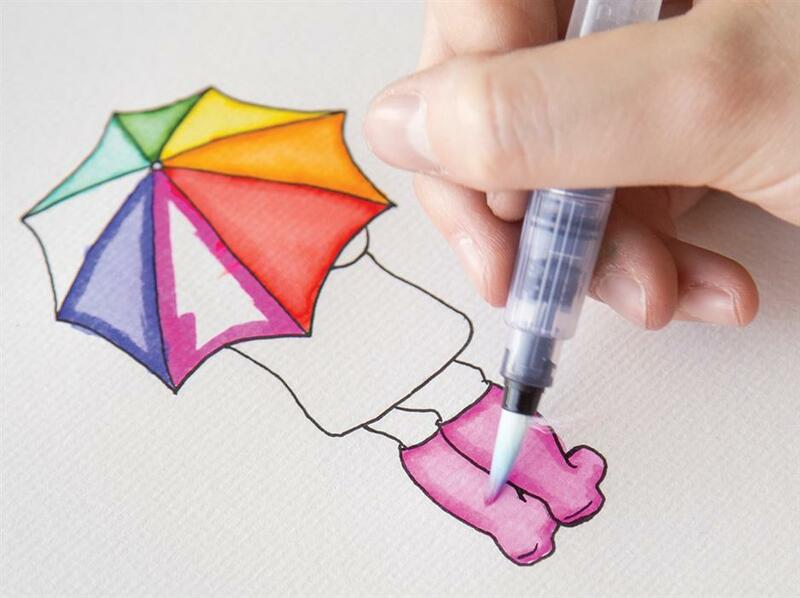 Once dry, add details such as outlines, shading or stippling. Tip: Add a streak of colour to accentuate the highlight or shadow, rather than filling an entire area with colour. 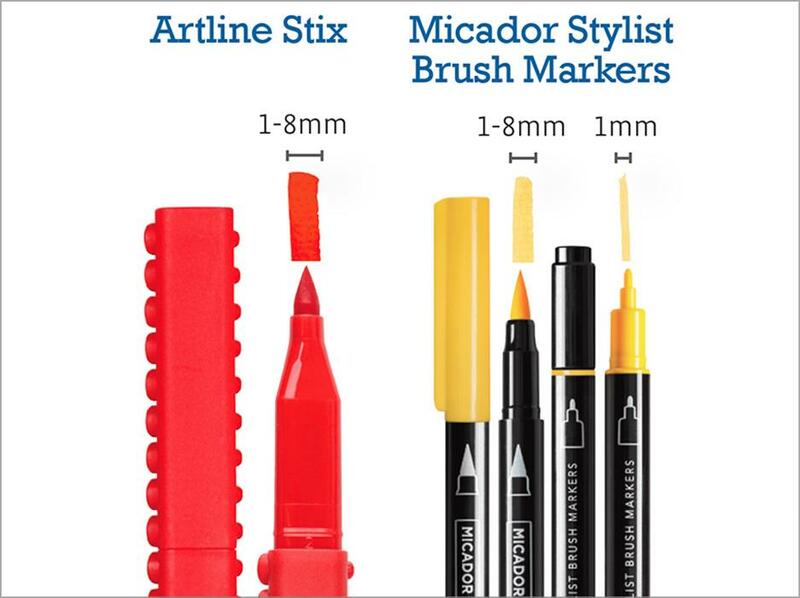 Comparison: The main advantage of the Stylist Brush Markers are the dual tips. 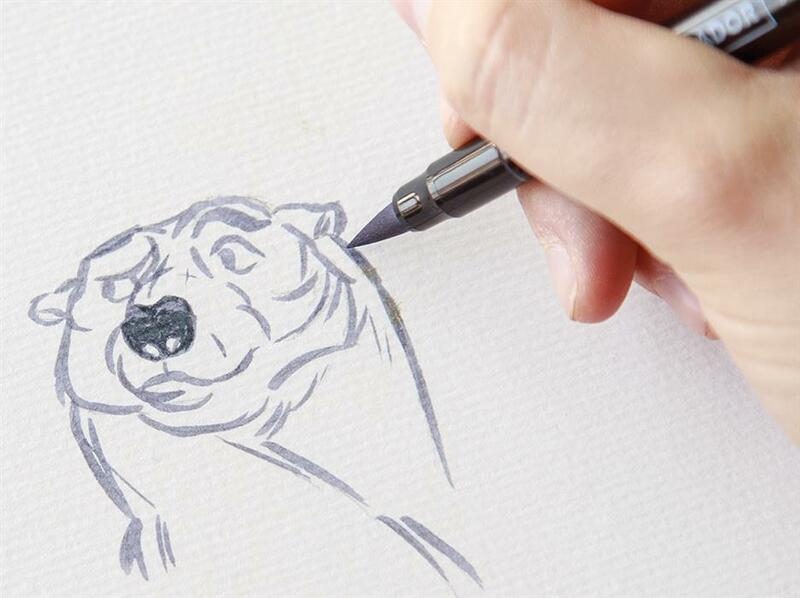 The fine point can be useful for stippling, cross-hatching and line work in general. They blend a little easier than the Artline Stix and are more suited to senior design students, whilst the Stix can be used with primary students without breaking your budget (plus they’re fun to play with – like Lego®). 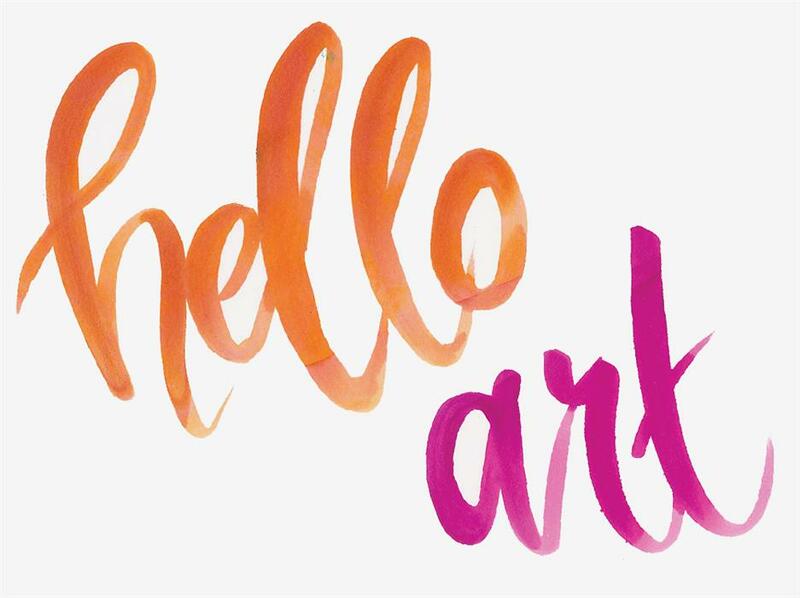 Brush lettering has become an art form in its own right and is a great way to play with type. It’s all in the pressure and stroke direction! Warp: Once you’re confident, warp the axis and heights of each letter to make the type look more fluid and fun! 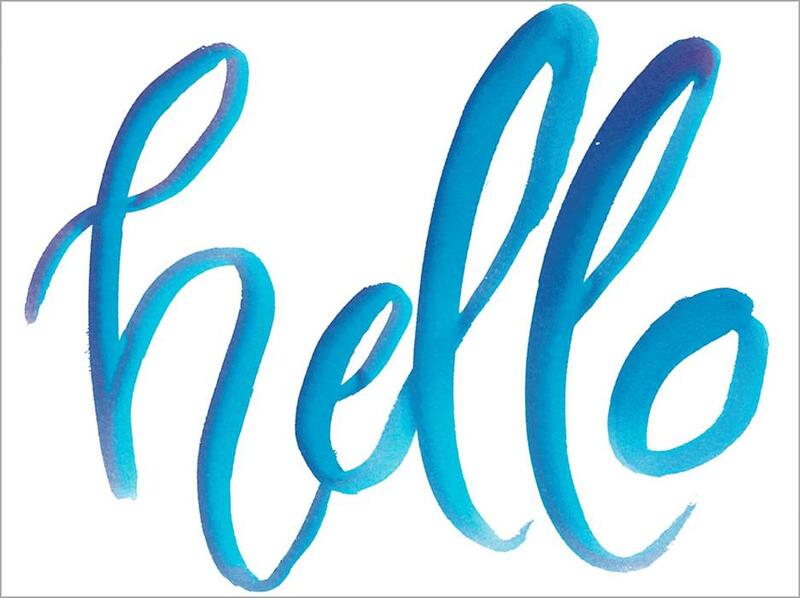 ‘Hello’ is a great word to practice, as it has both heights and curves to play with. 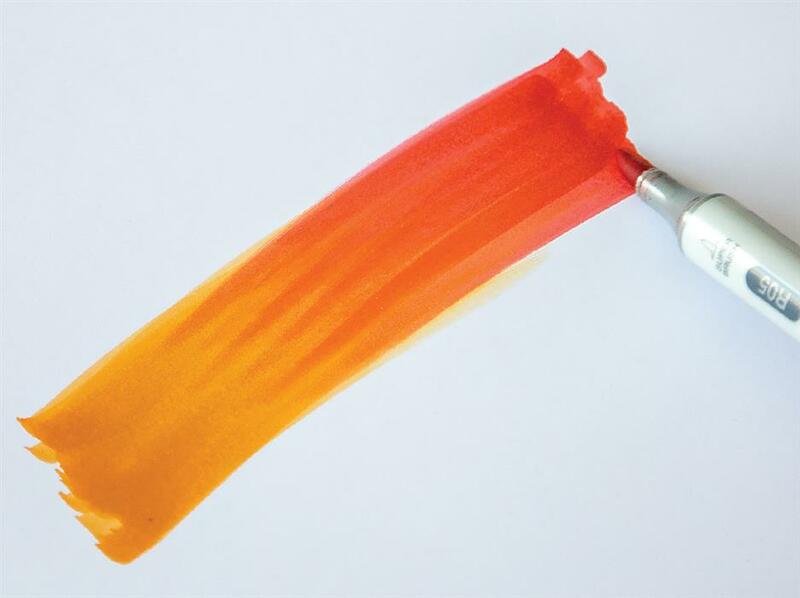 Ombré: Pressure determines how saturated the pigment appears. Press firmly as you stroke down and lightly as you flick back up. This will also alter the stroke width. Two-tone: Scribble a dark colour onto acetate. 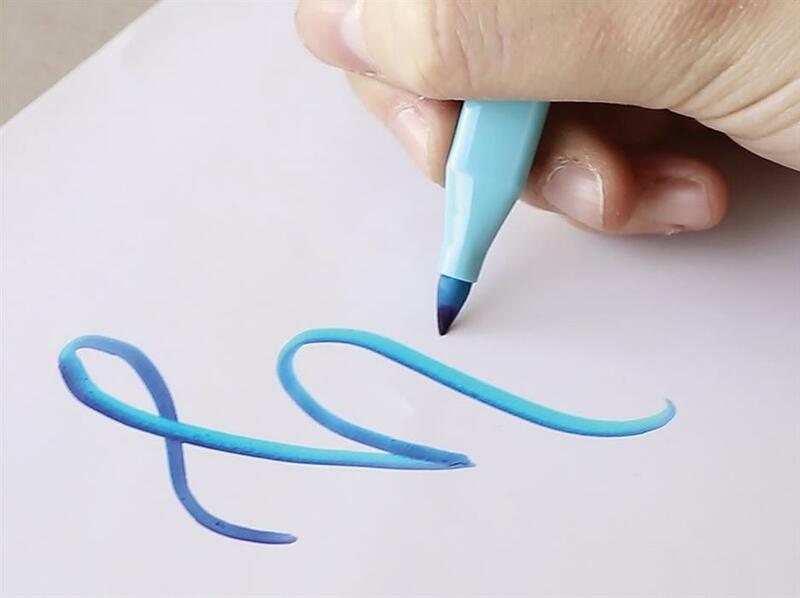 Use a lighter marker to pick up some of the darker colour on the nib before drawing your word. You may need to top up the dark ink every few letters. Watch the Video here! 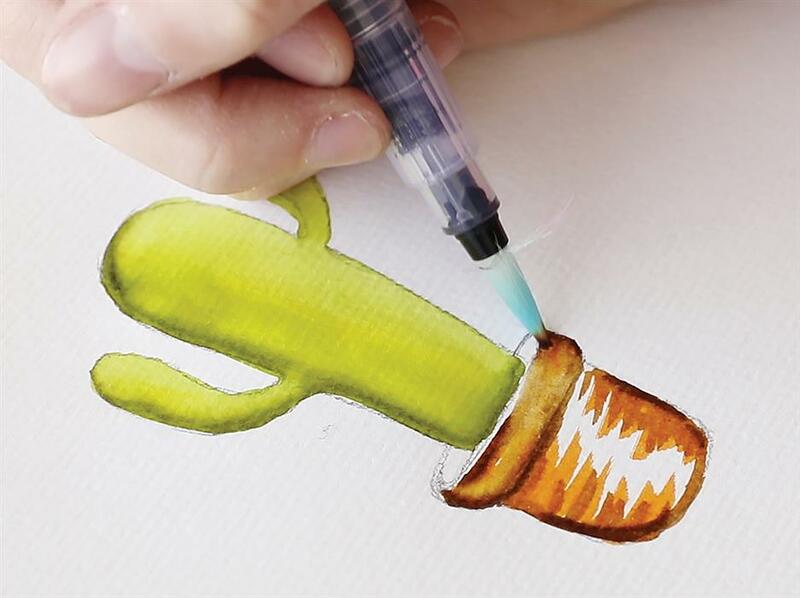 Detail: When dry, add details with the Stylist Marker’s fine tip. Fake it: Can’t get the pressure right? Fake it! 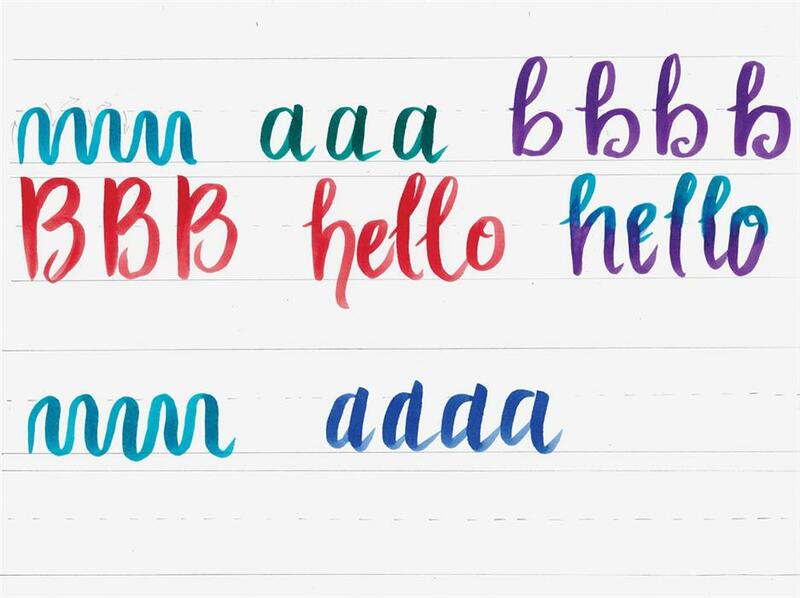 Use the Stylist Marker’s fine tip to draw the letter, then turn it into a block letter and fill the body with colour or pattern. 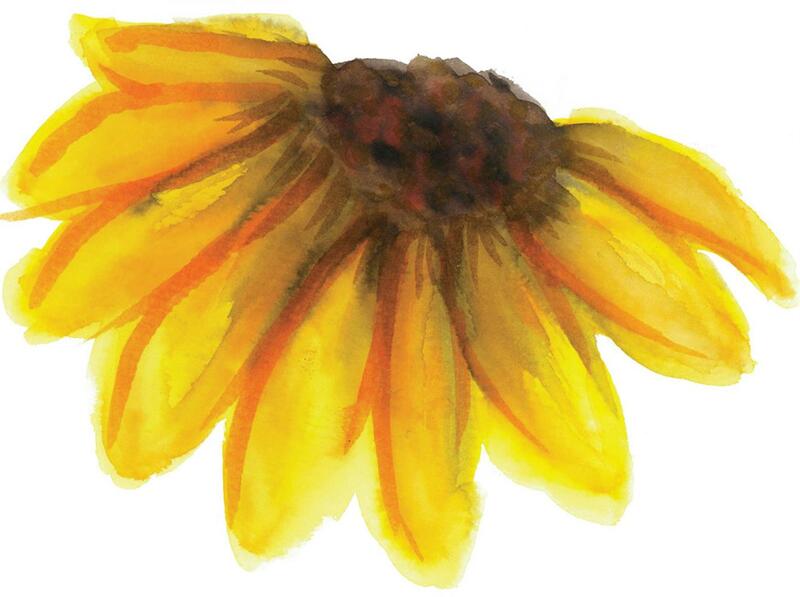 Copic Markers, which are alcohol based, are great for blending and rendering. The nibs are made from moulded fibres and will not fray. Best used on smooth, coated paper such as Bleedproof Paper, Acetate or Tracing Paper, the ink will not bleed nor the paper pill. Copic Multiliners are perfect as all other fineliners and felt tip pens will bleed. Blending family: Markers that have the same colour family and same first digit. For best results, use three markers from the same blending family, where the last digit is 2-3 points apart. Blend: Select three colours from the same blending family. 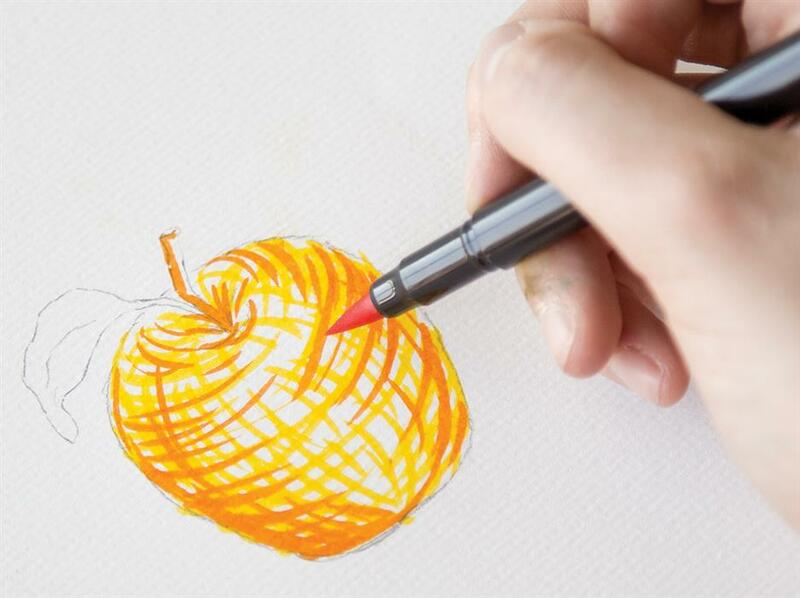 Starting with the lightest colour work in circular motions with the brush tip to fill in your shape. While wet, gradually apply the next darkest colour to the shaded area. Use the lightest colour to blend the tones together. Watch a Short Video or perhaps, Watch a longer Video! Feathering: Using two colours from separate colour families, lightly flick each colour from opposite ends to blend in the middle. Repeat this process 4-8 times until the colours are well blended. Colourless Blender: This marker is not for blending! It contains only alcohol. It will move pigments already on your surface, which can create interesting effects. 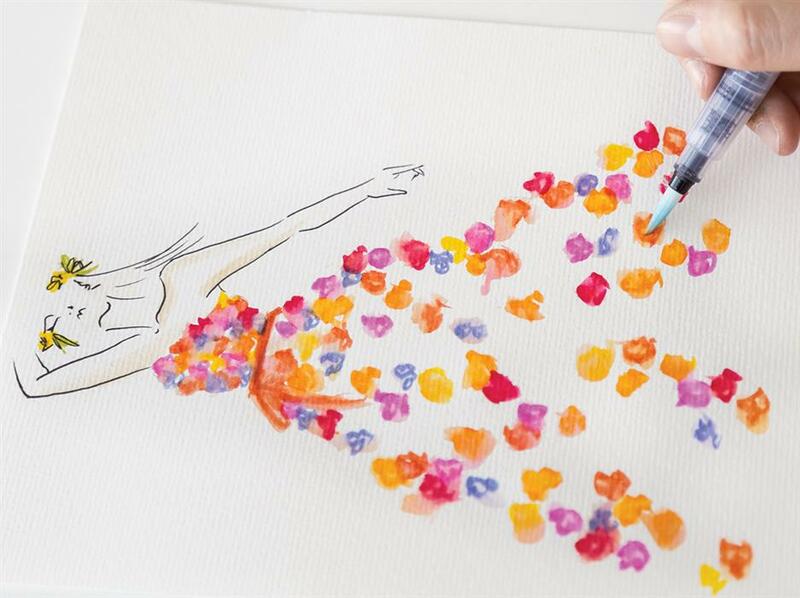 Lay colour down and leave to dry for two minutes. Use the Colourless Blender to create brickwork, striped or spotted patterns. Watch the Video here! Texture: Lay colour down and leave to dry for 30 seconds. 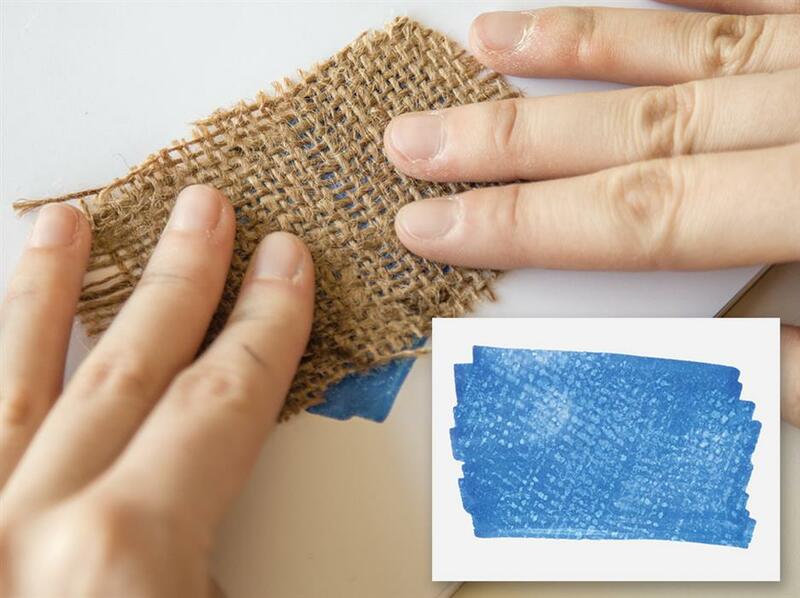 Spritz Art Clean or isopropyl alcohol onto hessian or denim fabric and press this into the inked surface. Watch the Video here! • Work on Acetate, Dura Lar, Mineral Paper or Tracing Paper for interesting effects. 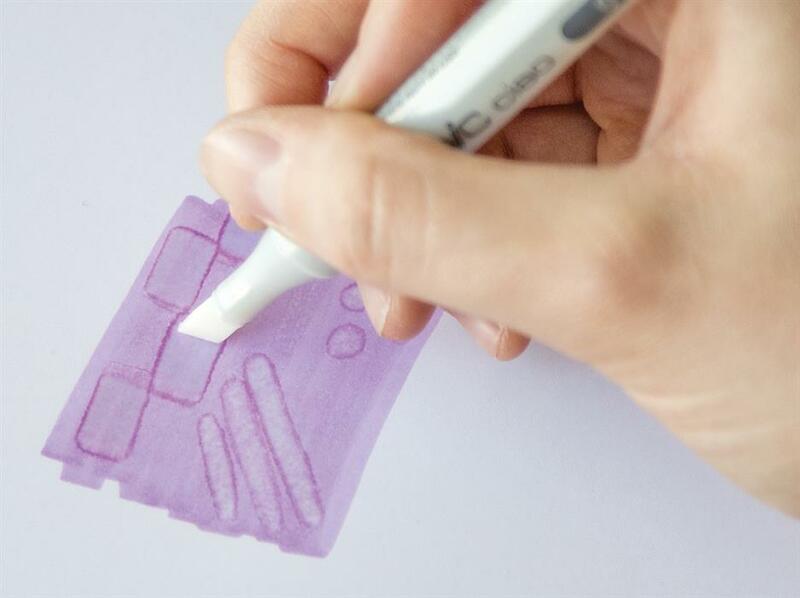 • Use pencil over Rubbing Plates to add pattern. • Combine with Alcohol Inks, Permanent Markers and Gel Pens to embellish your design.